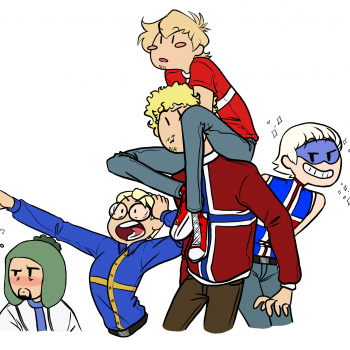 Russia has no policy for personal space. 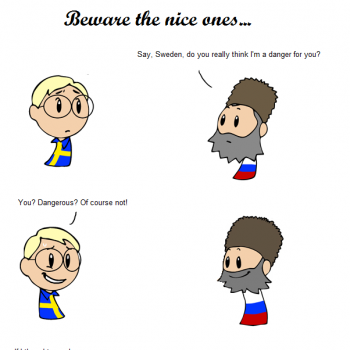 As a guy from Russia, I'm really sorry for all the aggressive stuff that goes out from here. We should take care of our own country instead of invading the others and speak hate. @Leon whats your opinion about the crimean war, ussr, and lgbt? @Leon I'm so sorry this is such a scary and sick time for you. We should all be taking care of each other and our planet. Believe me, the planet does not care what lives on it - it just exists. As Americans we've used more than our fair share of resources and cause more pollution. We think we have all the answers for the world. As a country we can be pretty arrogant. Until now our saving grace is that we truly mean well. Russia just going "Ukraine? Nyet... MYKRAINE!" Ukraine: "But that is my land!" @ScottishHetalianCat Mykraine is for capitalist dogs. Is really OURKRAINE! Basically, Ukraine is made up of a number of territories, that at different times belonged to different empires - Polish, Russian, some Romanian regions I believe. So there is no such thing a unified position of Ukranian people on who to be with. Some are pro Russian, some are pro Western, some want their own independence. We consider their current government to be installed via coup, and supporting just the pro-Western group of opinions. Note that the "full independence" party is not same as the "western" party, they actually had some bloody pages that prevent them associating with Europe like this one. So when you hear that "Ukraine wants to be with Europe" it really means that "Government installed by Western coup wants to be with Europe and has support of some western areas". I would estimate their support as 30-40% of the population. Can be well wrong here. The vote in Crimea... Well, they did carry it out with our troops on the peninsula. On the other hand, Crimea is mostly populated with Russians, was part of Russia, and the vote was going at the time when Ukraine was clearly heading into civil war, Russian language was getting banned by the newly installed government, and so on. I think people did vote for Russia then. If not for the reasons above, then because if they didn't, Crimea would be what Donbass is now. While the media is not a reliable source on what is going on there, I do not think Russia will willingly abuse these guys, no reason for that. We also have tatar population in several other regions of Russia, and they would not be happy should Russia act bad. @naapurinerkki Um, no, Russia is my home country, so, uh, no you racist. In Oymyakon, it is currently -9º, which is a lot warmer than usual. 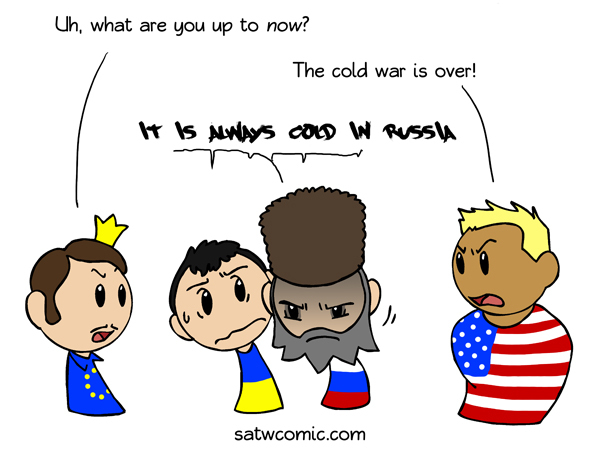 @BadgeOfBall throughout history whenever people invaded russia they weren't prepared for the russian winter. Russia has never actually been successfully invaded by another country. @Animaiden That's not true. Russia was part of the Golden Horde Empire following Genghis Khan's grandson, Ögedei Khan's, death until 1480. Nah, it`s fine when you get used to it.